Celtic Tribes is a new strategy game and MMO-style structure, much like games like Roads Of Rome and the like, but set in the times of the Celts, with magic runes, druids, artifacts, potions, etc..
As head of the Celtic tribe you must guide your tribe, make it grow, develop society, army and throw to conquer other tribes and clans. Reclutarás shooters, archers and barbarians to battle against other players taking their villages, you'll have to find out what are the most powerful clans to make stronger alinazas. You can expand your settlement slowly from a small town with few resources to conquer all and you can team up with other players, trade with raw materials, etc. At first the game is slower while learning to play and use your raw materials (clay, wood and iron), but you can always buy potions to do things immediately, you can buy them in the internal purchases and so develop your app faster. It is important to improve resource production buildings at first, but you can not grow and take a long time for this, the style of farming game in which you expect to continue farming. It is also important to check how many subjects you need, if you believe many do not feed them, you need a balance between subjects and commodities. 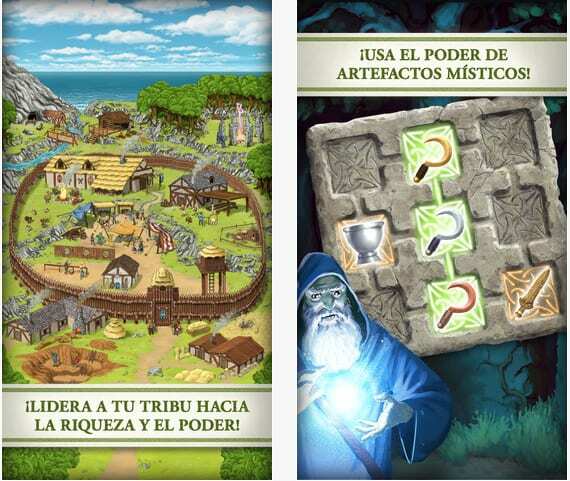 Celtic Tribes is compatible with iPhone and iPad, and comes with support for retina display of iPhone 5, iPad 3 and iPad 4. and most importantly: you can download it for free on the App Store. Article Celtic Tribes: strategy Celtic times was originally published in News iPhone .